Kevin Spencer is a teaching artist, researcher, speaker, consultant, and award-winning film producer as well as faculty in the Special Education program at Carlow University (PA) where he teaches a course on the intersection of the arts for special populations. He is also a world-renowned illusionist with dozens of accolades to his credit. 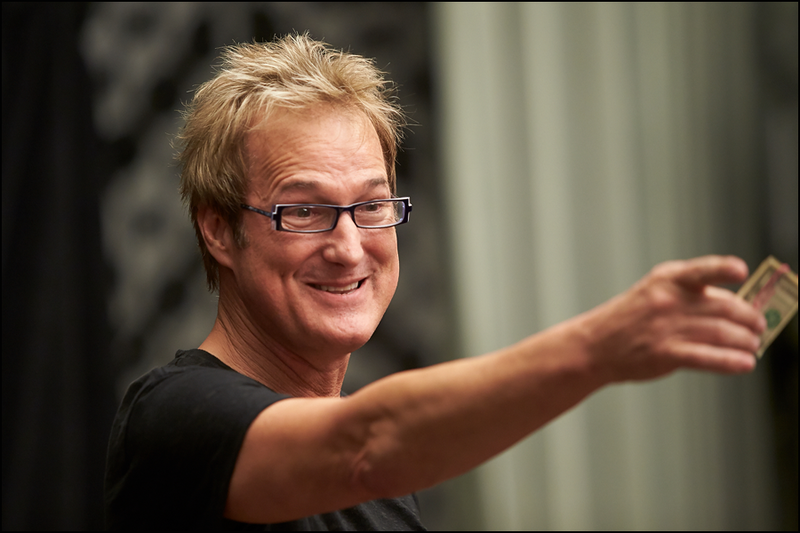 He and his wife, Cindy, were the recipients of the Merlin Award for International Magicians of the Year (2009) and six-time recipients of Performing Arts Entertainer of the Year. Most recently, the Milbourne Christopher Foundation honored them as Illusionists of the Year (2015) for their unique contributions to the art of magic. 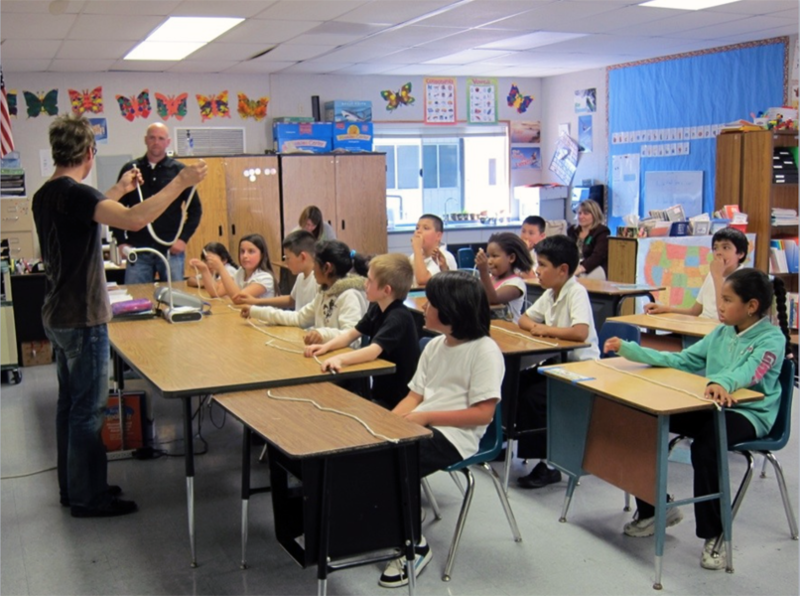 Spencer is widely considered the leading authority on the educational and therapeutic benefits of magic tricks in education and rehabilitation. His work has taken him around the world where he has conducted professional development training for educators, interactive classroom activities for students, and continuing education workshops for rehabilitation specialists.. He is a regular speaker at international education and healthcare conferences and believes in the power of the arts to bring transformative experiences to people of all abilities. Spencer is the creator of Hocus Focus and Healing of Magic and holds a Certification in Autism Studies. His groundbreaking research has been published in the Journal of the International Association of Special Education and the Journal of the International Society for Teacher Education. And his work has been featured in Today in OT, the Journal of the American Medical Association (JAMA), the Australian Occupational Therapy Journal, Today in PT, REHAB Today, HEALTH magazine, ADVANCE for Occupational Therapy Practitioners, and numerous other publications. Spencer has presented research at numerous education and healthcare conferences world-wide including the Council for Exceptional Children (St. Louis, 2016), Division of International Special Education and Services (Ireland 2011, Tobago 2013, and Portugal 2014), the East Asian International Conference on Teacher Education Research (Hong Kong), the International Society for Teacher Education Seminar (Norway), the International Scientific Conference on Rehabilitation and Education (Belarus), and the International Association for Special Education (Namibia 2012 and Vancouver 2014). He is scheduled as a featured presenter at the First World Congress for Persons with Disabilities in Russia (2017). Spencer offers several Professional Development training programs for general and/or special educators on arts-integration in the classroom. Magic in the Classroom: Phenomenon-Based Learning is a pedagogy in which the student’s own curiosity becomes the driver for learning. The student explores, not from the point of view of trudging through a project or problem, but as a result of seeing some interesting phenomenon and wanting to understand what is going on. This works because interest and enthusiasm do not result from the content alone; they come from the students themselves as they discover more about the phenomenon. In this workshop, the art of illusion is the discipline, the “phenomenon” to which students are exposed. 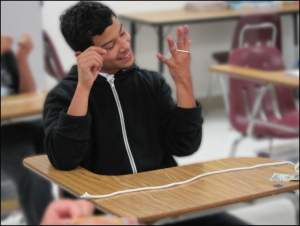 Through the exploration of the methods used to execute a magic trick, students are given the opportunity and encouraged to participate in the productive exchange of ideas associated with the trick. Because magic taps into the natural curiosity of people, this project has the potential to capture the shared interests of all participants and actively engage them in producing, creating, experimenting, and designing as materials and methods used in the trick are manipulated and changed. Hocus Focus™ is a child-centered, activity-based program that combines education with imagination to help students develop and improve their abilities in a variety of important areas. Spencer’s interdisciplinary approach to designing Hocus Focus™ values a holistic philosophy so essential to effective educational experiences that are generalizable for all children, including those with disabilities. It transcends the confines of culture by its very nature of incorporating play, reaching beyond the boundaries of the U.S. educational system and influencing a global audience. Hocus Focus™ is a creative instructional tool to support the learning of students with varying degrees of educational challenges and abilities including autistic, cognitively delayed, emotionally disturbed and learning disabled students. The activities are motivational, promote positive self-expression and reinforce so many key skills needed for student success. In 2015, Spencer collaborated with Dr. Susan O’Rourke to to design and investigate an assessment instrument for educators to measure student growth through the arts in five dimensions of learning: cognition, motor, communication, and social skills while developing creativity and flexible thinking. Hocus Focus Analytics is the capstone of that project and is the first assessment instrument developed to quantify learning through arts-integrated teaching methods. The paper, The Development and Psychometric Investigation of an Assessment Instrument for Educators, was accepted for publication and presentation at the 2017 American Educational Research Association conference. Hocus Focus™ is based on an exciting new education framework called Phenomenon-Based Learning (PBL), a framework grounded in creativity and innovation. Hocus Focus™ is designed to use the student’s own curiosity as the driver for learning. Children and adolescents are intensely curious. The art of magic is an effective means of tapping into that natural curiosity. In PBL, magic tricks become both the phenomenon and the art form. When presented properly, it can be linked to important skills needed for student understanding resulting in student achievement and growth. Hocus Focus™ uses both teacher and peer instruction and contains elements of inquiry-based, problem-based, and project-based learning combined with hands-on, arts-integrated activities and responsive teaching. Through the medium of dramatic arts, students will learn how to follow multi-step and complex directions and organize tasks and movements; write a script; tell a story; perform appropriately; and include creative movement in their presentations. These promote contexts in which the student would play an active role in learning by engaging their attention, memory, and motivation. Peer mentoring and collaboration combined with teacher-modeling would play a fundamental role in this project. One in six children in the U.S. are diagnosed with a developmental disability. The second most common of these is Autism Spectrum Disorder (ASD) with a current prevalence rate of 1 in 68. According to the Centers for Disease Control and Prevention, this is more children than are affected by diabetes, AIDS, cancer, cerebral palsy, cystic fibrosis, muscular dystrophy or Down syndrome. Spencer is especially interested in the possibilities the arts may provide for alternative means of expression for children on the autism spectrum. 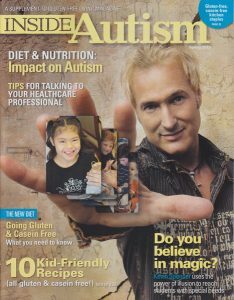 A feature article in INSIDE AUTISM magazine called Spencer “the kid whisperer” because of his keen ability to connect with children with ASD. Spencer holds a Certification in Autism Studies. His groundbreaking research on the educational benefits of integrating magic tricks into the classroom for all students, including those with Autism Spectrum Disorders (ASD) and Intellectual/Developmental Delays, has been published in the Journal of the International Association of Special Education and the Journal of the International Society for Teacher Education.Hocus Focus™ addresses some of the challenges that students with autism face – challenges in behavior, social cognition, linguistics, motor coordination, and sensory abilities. The goal is to help these individuals develop the skills necessary to integrate and become productive members of society. Encourage the child to be sociable, flexible, and cooperative when playing and/or studying with other children. Improve the child’s gross and fine motor skills. He is also the founder of the HEALING OF MAGIC program and is widely considered the leading authority on the therapeutic use of magic tricks in physical and psychosocial rehabilitation. He is frequently engaged in research and continuing education workshops. His magic trick-based work has been featured in the Journal of the American Medical Association, the Australian Occupational Therapy Journal, Journal of Hand Therapy, HEALTH magazine, TODAY in OT, and the Washington Post. Spencer has the Approved Provider Status of the American Occupational Therapy Association (AOTA) and has been the Keynote Speaker at numerous state occupational therapy conferences as well as conducting breakout sessions and workshops around the world for therapists, psychologist, physicians, researchers, and rehabilitation specialists. His latest project is a short documentary titled POWERFUL MEDICINE: SIMPLY MAGIC. It premiered in Braga, Portugal in July 2014 to an enthusiastic audience and is being screened at numerous international film festivals through 2015. It has already earned Best Short Documentary at several. The film is a journey of self-discovery and resilience told through the voices, faces, and hands of incredible individuals who struggle with some of life’s difficult challenges. Their stories are inspirational, motivating and life changing! For his humanitarian endeavors, he was given the Harry Chapin Award for Contributions to Humanity.